If the New York Giants decide to pass on taking a quarterback in the 2018 NFL Draft, there are several trade back options that should be considered, but which would be the most beneficial? Ideally, New York would be looking to acquire several early-round picks and a potential player for the No. 2 overall pick in the draft. Join our community of die-hards! Rumors of the Buffalo Bills offering their first and second-rounder, along with left tackle Cordy Glenn have been bubbling to the surface. Here’s my issue with this trade-back: Glenn is set to count $14.5 million against the cap in 2018, far too much for the Giants to tack on to their allocated moneys. His base salary would be $9.25 million. Additionally, Glenn has missed 15 games in the past two-seasons due to injury. The Giants need value, and what better way to add value than to tack on the 40th overall pick in the second-round to complement the Giants’ No. 34 pick. Now, trading back from the No. 2 to the No. 5 will require the Broncos to give up a bit more than just a second-rounder. 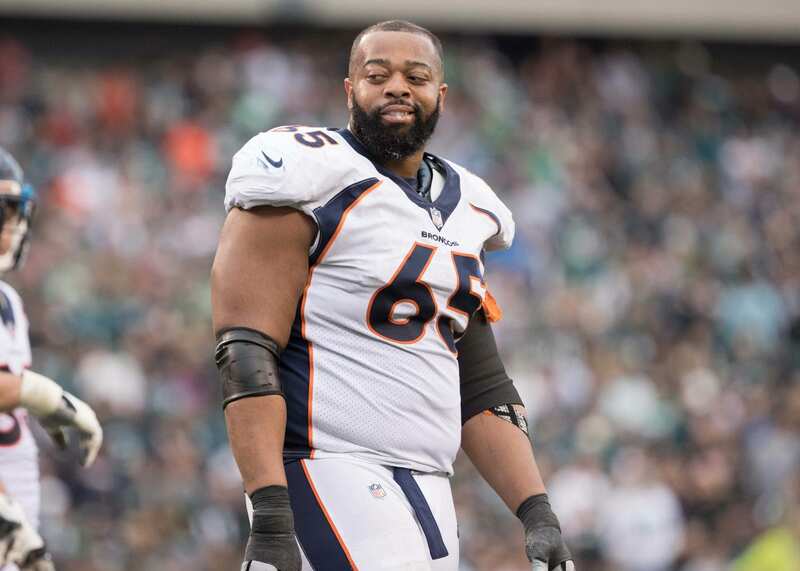 I would ask for guard Ronald Leary who starred with the Dallas Cowboys for the first five-years of his career, until signing with the Broncos last season on a 4-years, $36 million deal. Additionally, I would take their third and fifth-round pick (potentially even more picks in 2019). If they want their franchise quarterback, they’re going to have to pay for him. Getting a deal this sweet would take some serious negotiating from Dave Gettleman, but if the Jets swoop in and steal Kirk Cousins from under the Broncos, they might not have a choice but to listen to the Giants’ commands. Of course, this is all a hypothetical, but acquiring these picks would open up the door for the Giants to address the offensive line, running back, and linebacker positions with first and second-round talent. An influx of youth and skill that teams don’t normally see on a yearly basis.